Every so often a musician comes along who redefines not just the instrument they play, but also the music and style that come along with that instrument. 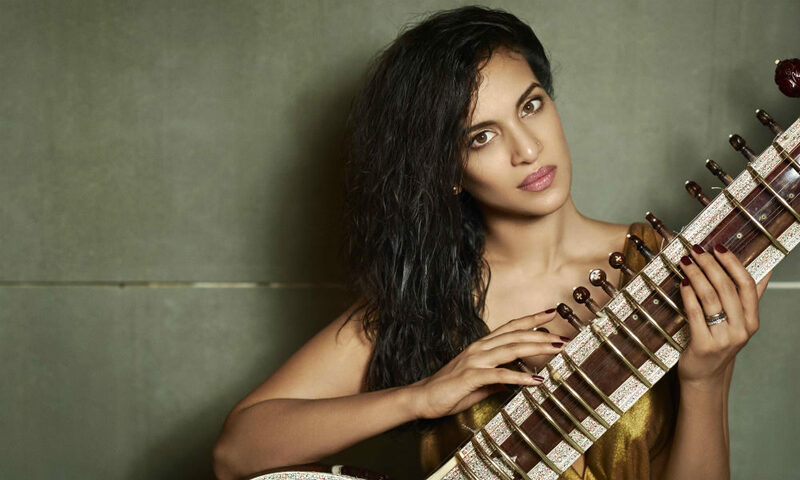 For the sitar, the stringed Indian instrument that looks (sort of) like a big guitar, that performer is Anoushka Shankar. A composer and sitarist, Shankar is the heiress to the rich world music tradition left behind by her father, Ravi Shankar. In addition to collaborating with Beatles guitarist George Harrison (and teaching him how to play the sitar), Ravi brought his instrument to the world stage in the 1950s and ’60s, even performing at the original ’69 Woodstock concert. Anoushka began studying the sitar with her father at the age of seven and has carried on his tradition of musical multiculturalism, performing with an incredibly eclectic array of artists from nine-time Grammy-winner (and half-sister) Norah Jones to English-Sri Lankan Rapper M.I.A. to minimalist American composer Philip Glass. From jazz to pop to contemporary classical music, both Western and Indian, there are few other artists at the center of so many different musical worlds. With her sitar and an ever-changing lineup of top-notch collaborators, Shankar has seamlessly intertwined all these genres into a sound that is at once poly-cultural and yet deeply personal and idiosyncratic as well. Since 1998, she’s earned six Grammy nominations and recorded eight studio albums, including the hit 2013 album Traces of You with Norah Jones, who’s coming to SPAC this summer for Jazz Fest 2019. So far, 2019 is already shaping up to be a big year for the London-based sitarist. In March, Shankar released her new compilation album, Reflections, which features 15 songs spanning her 2-decade career, and in May she will play her father’s album, Passages, live with Philip Glass to a sold-out crowd at the Philharmonie de Paris. The Spa City, too, will soon get to hear Shankar’s sound; the sitarist is coming to the Saratoga Performing Arts Center (SPAC) on Wednesday, June 19 for a “SPAC on Stage” performance of her 2016 album Land of Gold. saratoga living recently got to chat with Shankar about her summer show at SPAC and her life in music. This will be your SPAC debut. Have you been to Saratoga before? No, but I’ve been hearing about how beautiful it is. So I’m looking forward to it. I’ve been in the area though. I played at the Troy Savings Bank Music Hall [in 2005]. So I’ve sort of been there. Talk about your decision to play the whole album Land of Gold at SPAC. I imagine that’s got to be quite a challenge. Land of Gold is a real highlight for me. I feel like the album is really close to my heart, of course, but I also feel particularly proud of the live translation we were able to achieve from album to stage. I feel like it’s my favorite translation of an album I’ve managed to do. I’m also very lucky to get to work with incredible people. I wouldn’t be able to do it without them. The three musicians I’m touring with now are incredibly versatile across style and really good at what they do. So with them, we can really achieve so much on stage. We come from very different musical backgrounds, but in an odd way, culturally, we have more in common now than you would think on the surface because we live around the corner here in London. And we have kids similar ages. So we actually met as moms—we did a few playdates with our kids together. But I was talking to her about my album, and obviously, she has always been so incredibly vocal about refugee crises [which is the theme of Land of Gold]. She said she was working on some lyrics [on the same topic] and came over, and it happened from there in a lovely, organic way—not with a record label and date-booking and all that stuff. How about working with your sister Norah Jones? What kind of musical synergy exists between you two? I don’t feel like I’ve had that many experiences of being so close to someone for such a prolonged period of time before working with them. My only similar example would be my father, who I kind of grew up working with from the beginning. So by the time she and I sat down to work together, there was already an incredible amount of ease and trust that was there. It felt like a very organic process. Your father was also very close to one of The Beatles. Do you have any George Harrison stories? He used to come over very frequently. He’d check in on my practice, and I’d play for him all my new pieces. I adored it when he did that because he was really hilarious—he was very protective of me but in a kind of opposite way. Everyone wanted to be like, “This is great!” And he’d be like, “Are you enjoying this? Are you able to get away from Ravi? Because I know what [kind of] teacher he is.” It was really nice. 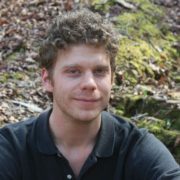 He was a super caring and loving uncle figure. Your new compilation album Reflections is looking back on an incredibly diverse career. Did you consciously set out to create such a global kind of sound? I think it’s been more an exploration than a journey with a destination in mind. For me, music has been a medium through which I learn and explore, and therefore I’m often very excited to try new things and immerse myself in new things. Also, it’s been a way to try to express who I am in a cultural sense. So I grew up playing this incredibly beautiful classical art form, but I also grew up across three continents in a very multi-cultural, almost multi-time period kind of a family. So I wanted to make music that represented me. What’s it going to be like playing with iconic composer Philip Glass in May? It’s amazing. He’s obviously someone I respect hugely, and someone I have a lot of love for because he was incredibly close to my father. He and my dad had a long relationship and did a collaboration album together called Passages, which is one of my favorite examples not just of cross-culturalism but of collaboration in general. They did that album when I was a kid, so I have really distinct memories of being in the studio and watching their music be recorded. This music was never performed live at the time, and it’s been put together as a live show. We had our world premiere two summers ago here in London, and now we’re getting to play it again in Paris. So it’s really brilliant bringing something to life that I’ve heard my whole life and loved so dearly.